In a huge setback to BCCI President N Srinivasan, the Supreme Court today ruled that he cannot represent the Board at the ICC meeting next week as he had been earlier held guilty of conflict of interest. A bench of justices Dipak Misra, A M Khanwilkar and D Y Chandrachud allowed BCCI's Acting Secretary Amitabh Chaudhary to represent the cricket board at the ICC meeting on April 24 and directed BCCI CEO Rahul Johri to accompany him. 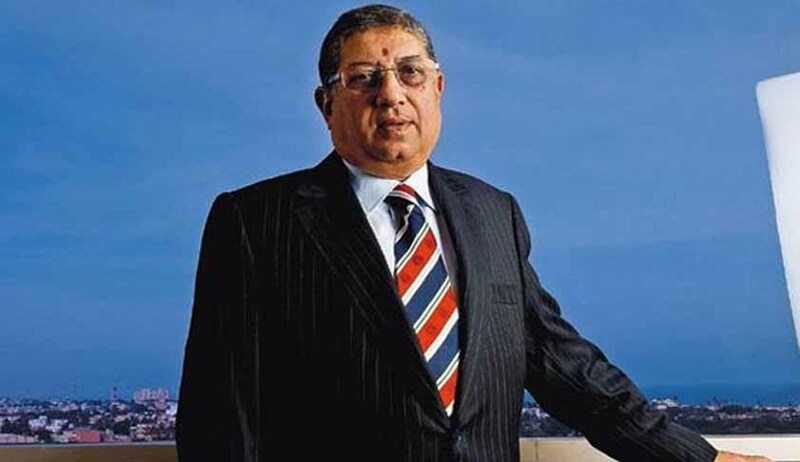 “Since Srinivasan has been held guilty by the apex court for conflict of interest he cannot be allowed to represent the BCCI in the ICC meeting. It is directed that Amitabh Chaudhary shall represent the BCCI in the ICC meeting and Rahul Johri shall accompany him and he (Johri) will also attend the meetings of the CEOs', the bench said. On April 10, the apex court had said that a person, who is ineligible to become an office bearer in the BCCI and state cricket associations, cannot be nominated to take part in the ICC meetings. “The only issue that is required to be decided today is who will represent the BCCI in the ICC meeting which is scheduled to be held on 24.04.2017. In course of hearing, we have been apprised that Mr. Amitabh Chaudhary, who is presently the acting Secretary of the BCCI can be nominated to attend the meeting. At this juncture, it is also submitted that Mr. Rahul Johri, the Chief Executive Officer should accompany him and attend the meeting of the Chief Executive Officers. Regard being had to the significance of representation of the BCCI in the said international body, i.e., ICC, it is directed that Amitabh Chaudhary shall represent the BCCI before the ICC and Mr. Rahul Johri shall accompany him and also attend the meeting of the Chief Executive Officers”, the bench said in its order.